El Loco takes the reigns of the one of South America's biggest nations. Some people told me three stories was impossible. 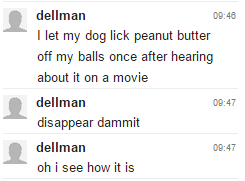 I just laughed and did it anyway, and it was one of the best decisions of my life. Perhaps four stories is pushing it a little bit, but I think it's worth a go, so here I am, story number four! With the World Cup looming in just two days' time, I feel a strong urge to do a national team story, but I don't want anything simple like Spain, Brazil, or Germany. However, I still want a team that perhaps has a dark horse shot at winning the upcoming tournament, and also a team with players I love. The logical choice was Uruguay. Filled with the talented likes of Luis Suarez, Edinson Cavani, and personal favorite Alvaro Pereira, the Celeste have a great chance of upsetting the odds and making a real splash this summer, and I plan to do the same in game. 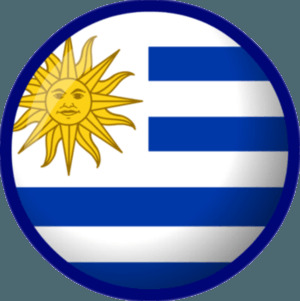 I don't want to just do this World Cup, however; I want to make Uruguay the powerhouse it was long ago, and restore it's prestige as one of the world's very best. The title, referencing "The Ghost of Maracanazo", may not make any sense to you. The term originates from the 1950 World Cup, which was hosted in Brazil. In the final of that game in the Estadio de Maracana, Uruguay came from behind to shock Brazil with a 2-1 victory. Maracanazo translates roughly to "blow of the Maracana", and the Ghost of Maracanazo is supposedly set to lead Uruguay to another World Cup title in the 2014 World Cup, again to be hosted in Brazil. Nealão + South America = amazing! Good luck! Jesus, anymore stories than this may just kill you... THIS BETTER BE GOOD. Josh_MU: Is that a challenge I hear? Do I have to start a fifth just to prove you wrong? 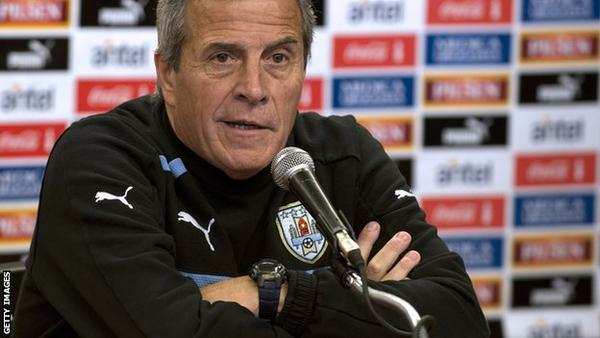 Shocking reports out of Uruguay have now confirmed that national team manager Oscar Tabarez has stepped down from his post just one year before the start of the World Cup. The 67 year old coach supposedly suffered from a minor heart attack yesterday, and, after urging from his family, has opted to take an indefinite sabbatical. Tabarez had taken over Uruguay for the second time in 2006 and led them to an astonishing fourth place finish in the 2010 World Cup, followed closely by a record 15th Copa America victory in 2011 where they stunned hosts Argentina en route to the trophy. El Maestro, as he is known for his earlier career as a teacher, was adored by the Uruguayan people for the massive improvement in form brought to the national side that he brought, especially by getting the best out of historic attacking trio Luis Suarez, Edinson Cavani, and 2010 World Cup Golden Ball winner Diego Forlan. Tabarez certainly leaves his squad in a good position, however. Despite still having 4 games left in World Cup qualifying, Uruguay sit second place in the standings and are already guaranteed a spot in next year's tournament. The question now is, who will take up the mantle and lead Uruguay in Brazil next summer? Some pundits are quietly tipping Marcelo Bielsa as Tabarez's replacement; the enigmatic Argentinian has already had plenty of national experience with Chile and Argentina. However, the favorite remains legendary striker Diego Forlan, set to take the reigns of the nation he leads in caps with 110. I wonder who will become the new manager? Heh, Diego Forlan still plays. If Diego is going to manage the team, well, he should know...Suarez > Cavani. You are reading "Uruguay - Ghost of the Maracanazo".